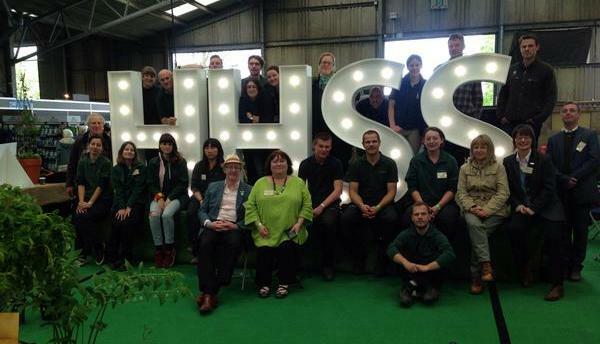 Around this time last year we were the new trainees on the Heritage Horticultural Skills Scheme (HHSS). However, our time is coming to an end and we are handing over to Christina Smart, the new recruit. 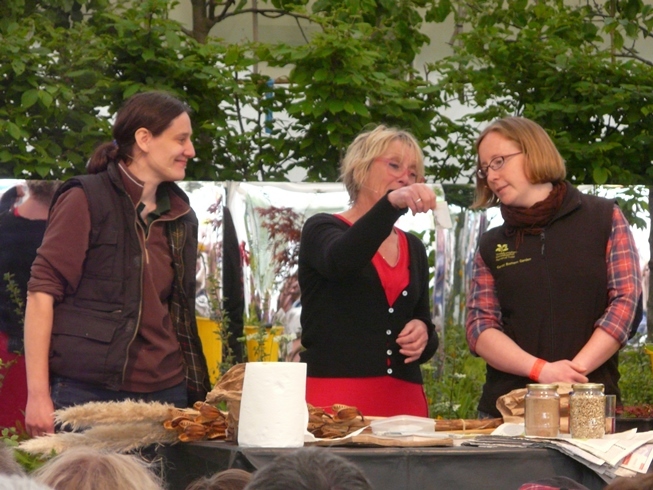 The HHSS bursary programme provides practical training in heritage gardening, funded by the Heritage Lottery Fund through its Skills for the Future programme. 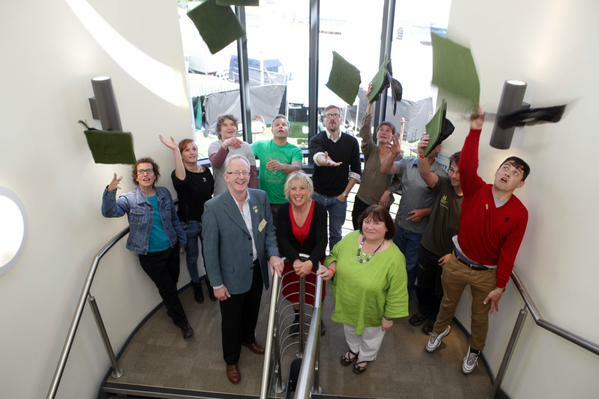 The bursary is administered by Lantra. The scheme has operated for four years and has now been extended to finish in November 2016. 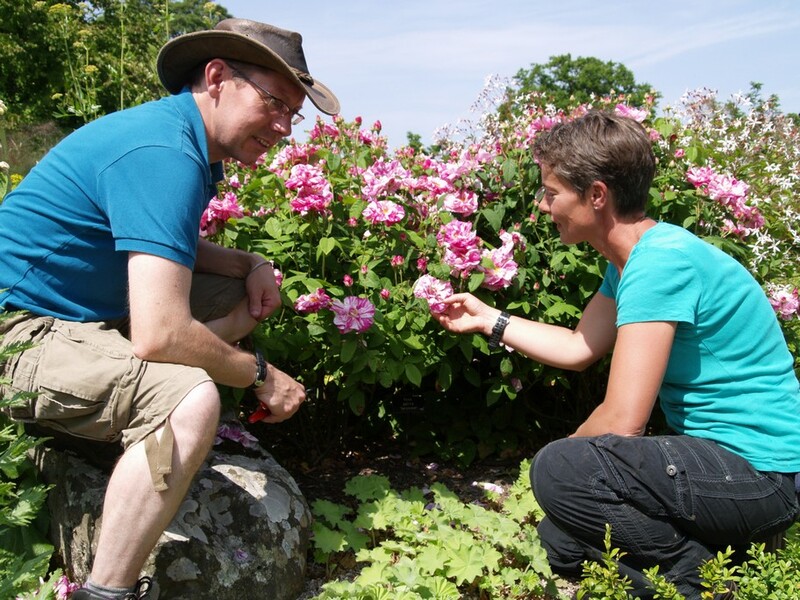 It aims to increase the number of skilled gardeners available to the heritage horticulture sector in Wales and the UK and is run within a group of seven gardens in Wales: Aberglasney, Bodnant, Cardiff, Dyffryn, Newport, Picton and St Fagans. We have had a fantastic time here at Bodnant, learning a huge amount from the great team here. We have undertaken the RHS Level 2 Practical Assessments and have also completed a new Lantra Award in Creating a Planted Area for a Heritage Site. This award was created specifically for the HHSS programme. We were given two plots where an old oak came down in a Boxing Day storm in 2013 and the area had been in need of renovation ever since. It was a big task but we were able to renew the plants to be kept in the beds, create designs for new planting and have now finished our plots and have all our plants in place. 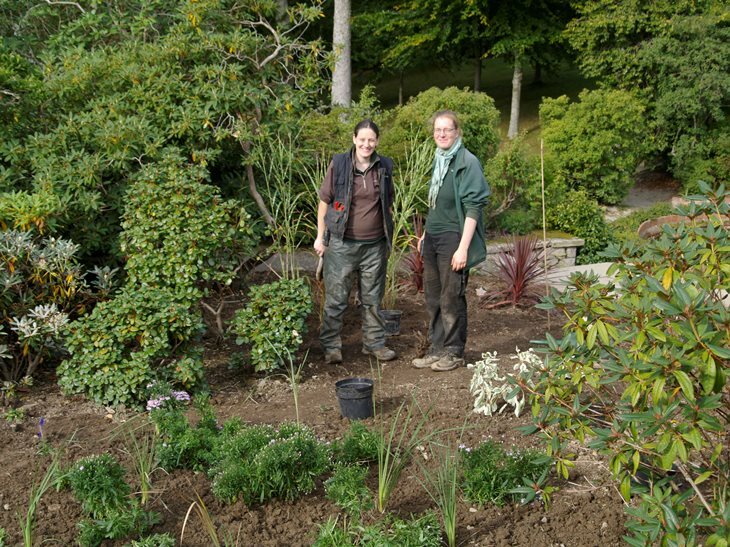 In one part of our bed we were able to include some exotic plants that tie in with a sheltered pond area with a tropical feel to it and the rest of our beds as woodland planting. 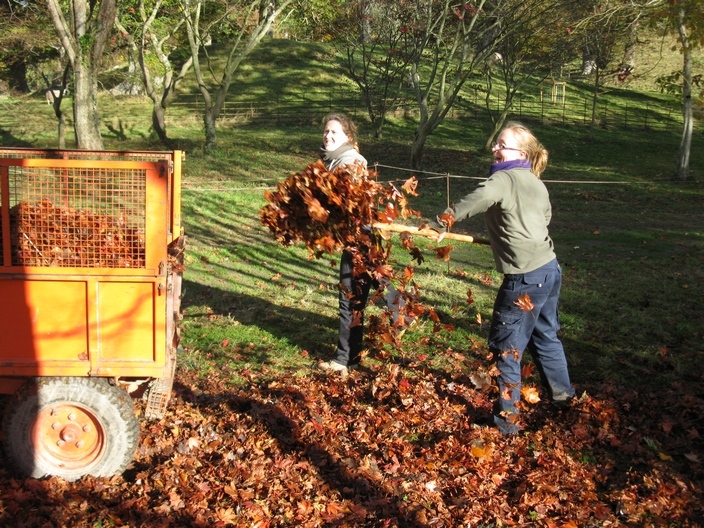 As well as our day to day work and training in the garden, we have been on trips to Westonbirt Arboretum, Painswick Rococo Gardens, St Fagans, The National Botanic Garden of Wales, the Centre for Alternative Technology and Plas Cadnant. 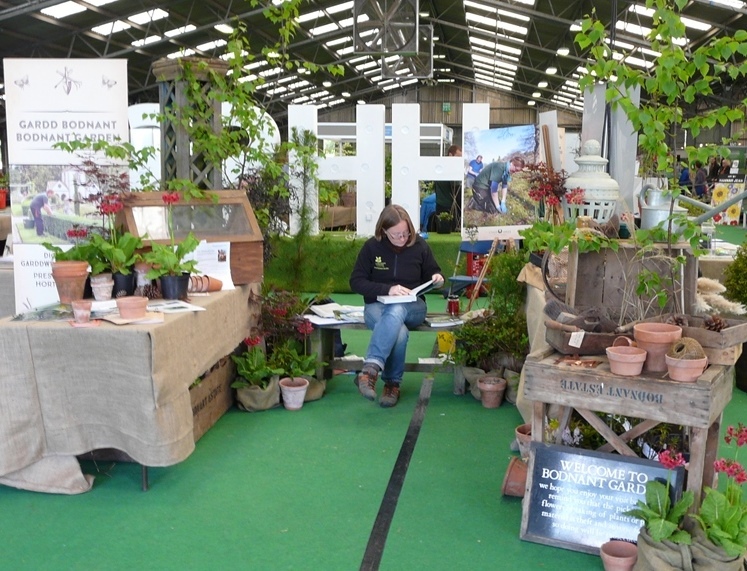 The scheme also had a large stand at the RHS Malvern Spring Festival. 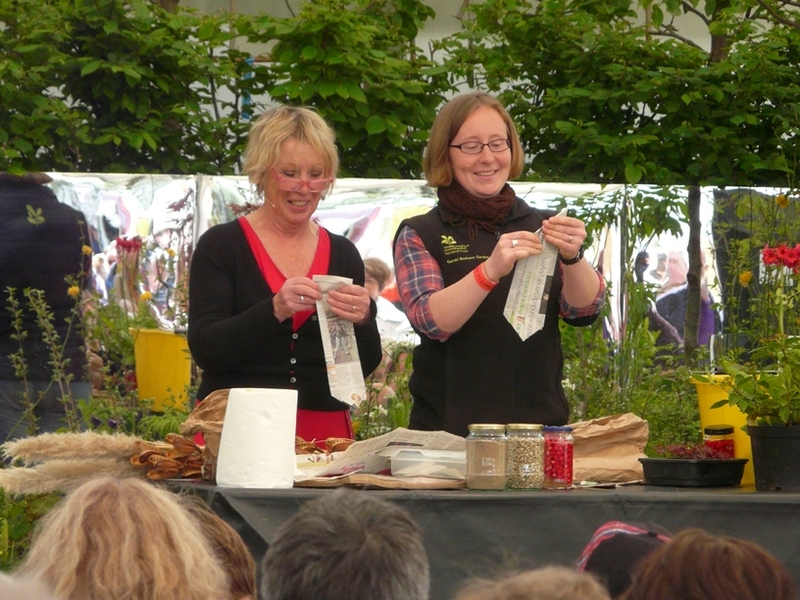 We got to do a couple of stage presentations with Carol Klein and Christine Walkden, which was fun! 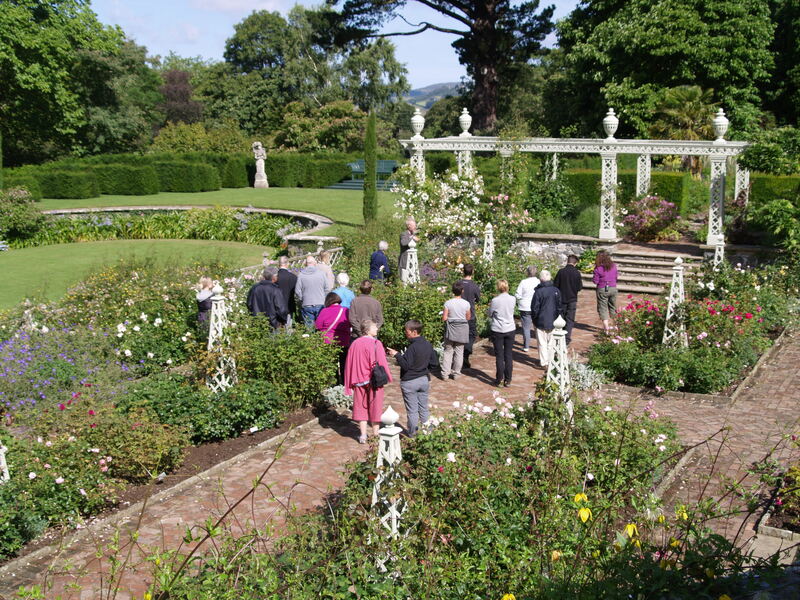 We were also able to take part in the Rhododendron and Camelia Societies’ centenary meeting here at Bodnant, with some of the other HHSS students. We were able to learn a lot of new plants in a short space of time going on visits with such knowledgeable and enthusiastic group of people. We shall be very sad to be leaving, but Christina, our new HHSS student who comes from nearby Deganwy has been here a few weeks now and seems to be settling in fine. We have made a pact to both be back to the garden for the opening of another new area, the Furnace Bank in 2017. We can visit everyone and we can see how our beds are looking at the same time! 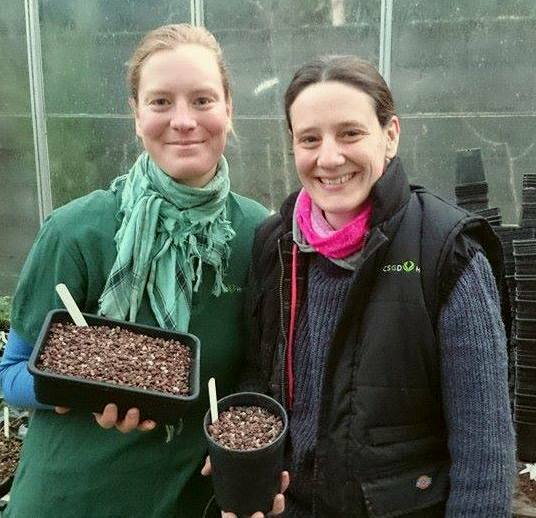 From everyone at Bodnant Garden, a very warm welcome to Christina and a huge thank you to Jette and Jess – you will be missed. Best of luck for your future and Jette, if you don’t follow a gardening path we reckon there’s a career in photography for you – thanks for all the great pictures of your year! 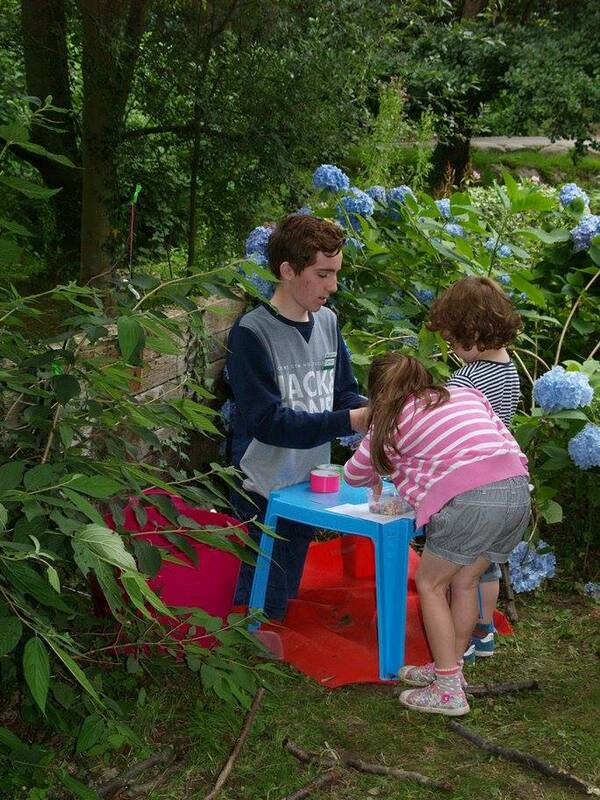 We’ve had some extra helping hands at Bodnant Garden this summer. Students have been spending some of their down-time with us to gain work experience – one of them from Snowdonia and two others from a little further afield near the Italian Dolomites. 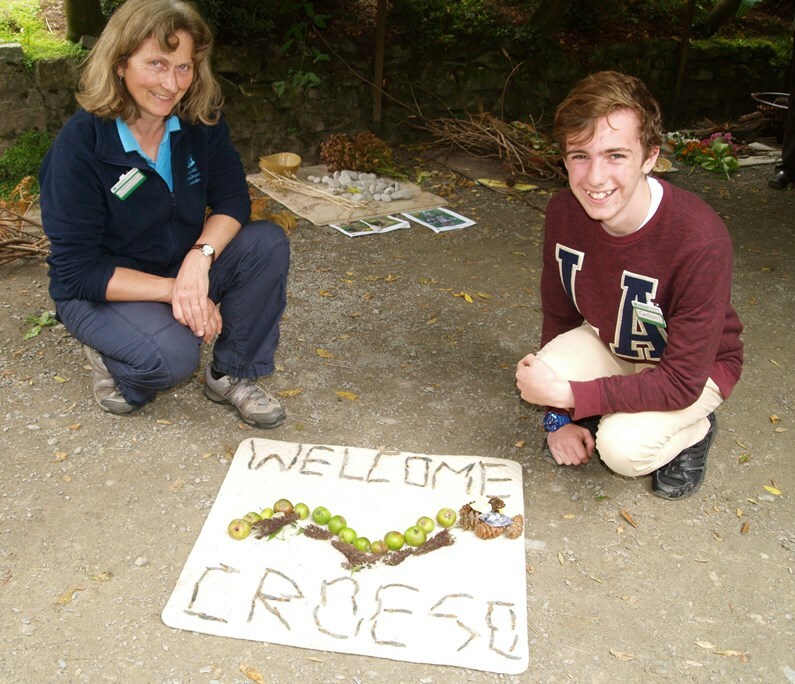 Gethin is a student at Ysgol y Creuddyn in Llandudno and volunteering at Bodnant Garden as part of his Bronze Duke of Edinburgh Award. He says: “I like volunteering here because I have met many great people. The staff and members of the public always greet you with a smile. “I have been helping with pond dipping at the newer part of the gardens – the Skating Pond – every Tuesday as part of Grow Wild in August. I have enjoyed helping the children discover what interesting creatures there are here. 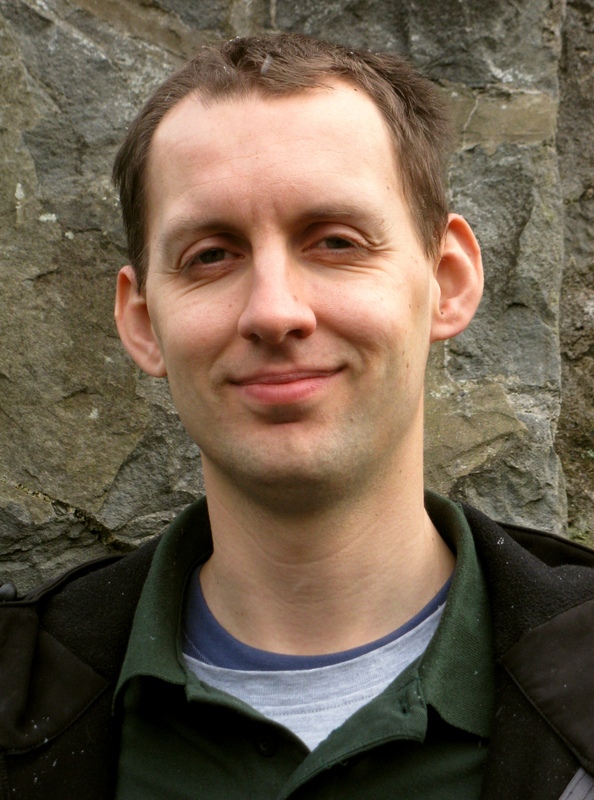 Gethin’s input has been a real boost, as Charlie says: “One aspect of our work here is growing fast, and that’s providing events and activities for families. We need more volunteers than ever to help with running pond dipping, craft and wild art sessions, taking children on nature walks, or showing them the bugs and beasties that live in the grasslands here. We’ve also enjoyed the company of two Italian students helping us in the garden. 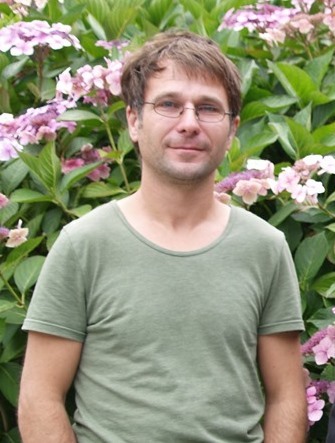 Jacopo Pedol and Stefania Moro have joined the garden team for two weeks, coming all the way from the Veneto region, close to the Dolomites. Jacopo and Stefania – at home on our Italianate terraces! They’re both hoping to make careers in horticulture in the future and have been getting some work experience, as well as improving their English (and learning some Welsh). They’ve been a friendly and enthusiastic addition to the team and have enjoyed meeting staff, other volunteers and members of the public. 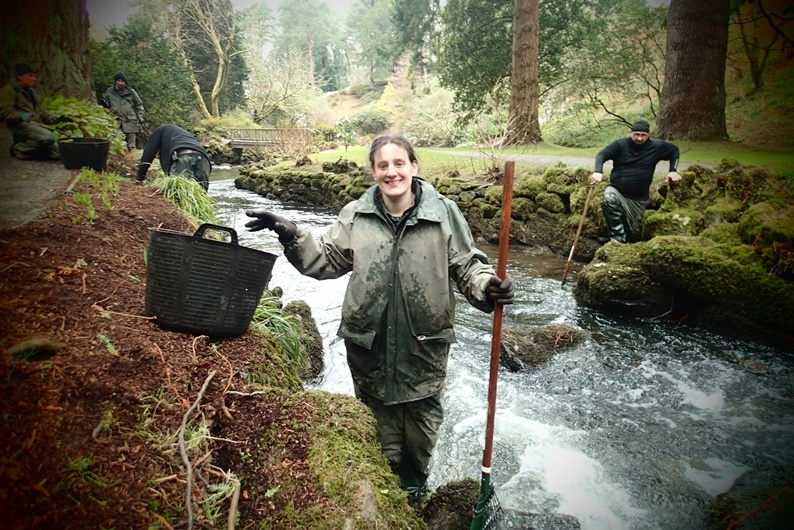 Charlie says: “We couldn’t do without volunteers here at Bodnant Garden, and it’s always a pleasure to welcome a new person who is willing to give up their own time to help us out. If you’re interested in gaining some work experience at Bodnant Garden or joining our team of regular volunteers we’d love to hear from you. Contact our property administrator Rose James. 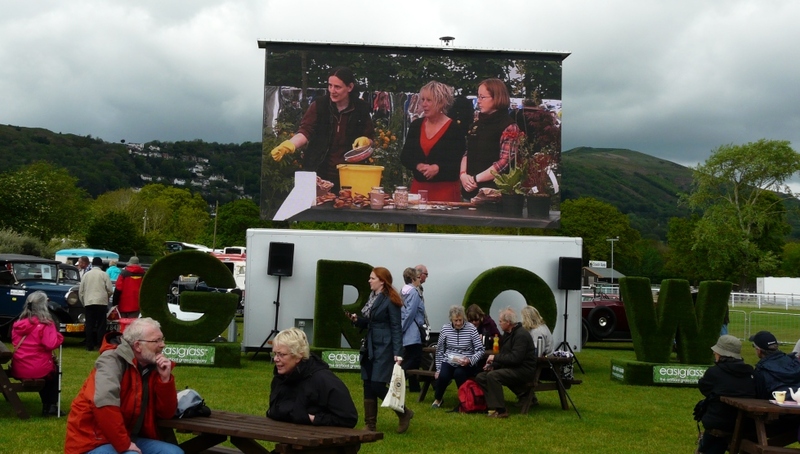 Gardeners and students from Bodnant were at the RHS Malvern Show recently…not just as visitors mind you, but taking to the show stands and even to the stage. 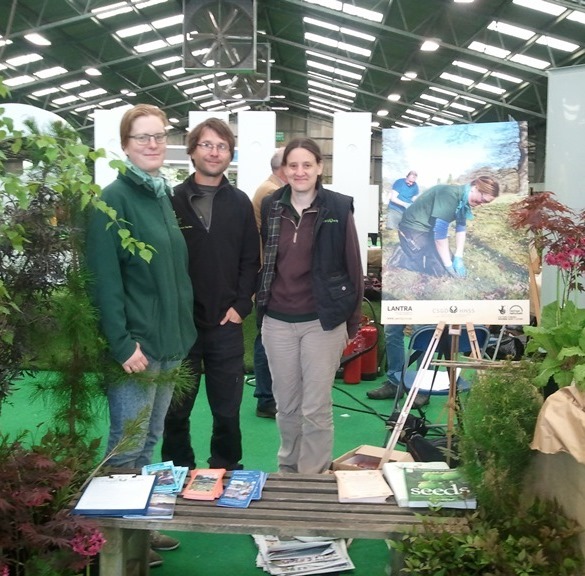 They went to represent the Heritage Horticulture Skills Scheme, which trains gardening students at a number of top gardens in Wales. 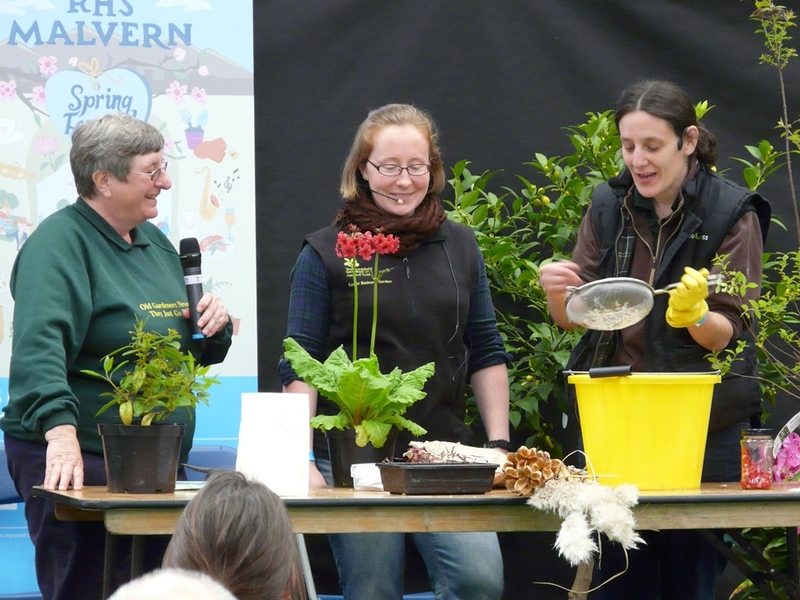 Our head gardener John, gardeners Katie, Harvey and Gemma, and our current students Jess and Jette joined others from the HHSS scheme to showcase what it offers at the Spring Festival. 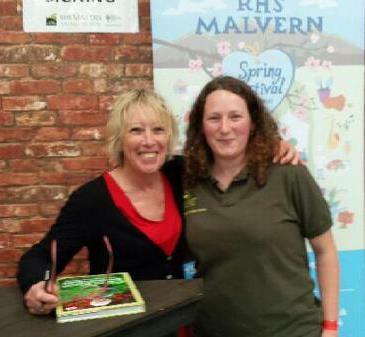 Katie and Jess found themselves sharing the limelight with Carol Klein and Christine Walkden doing demonstrations of seed collecting and sowing and as Christine tweeted afterwards “You two girls did you and the industry proud.” Katie and John also bravely took part in a Gardener’s Question Time. 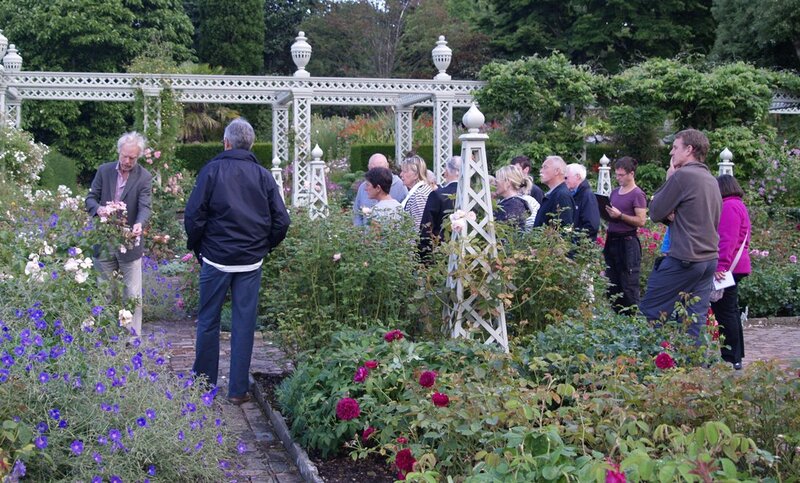 For the last four years the Heritage Horticulture Skills Scheme (HHSS) has been run by a group of associated garden sites in Wales: Aberglasney, Bodnant, Cardiff City Council, Dyffryn Gardens, Newport City Council, Picton Gardens and St Fagans. 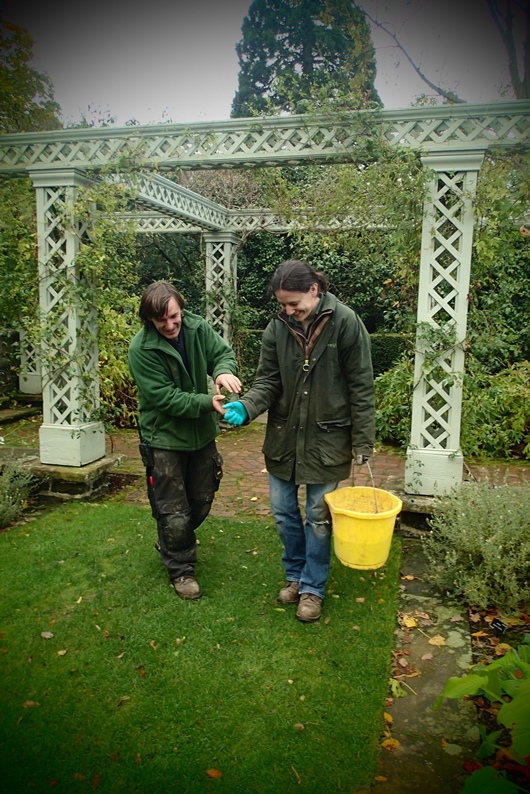 The scheme offers a bursary and 14-month work-based placement at gardens. 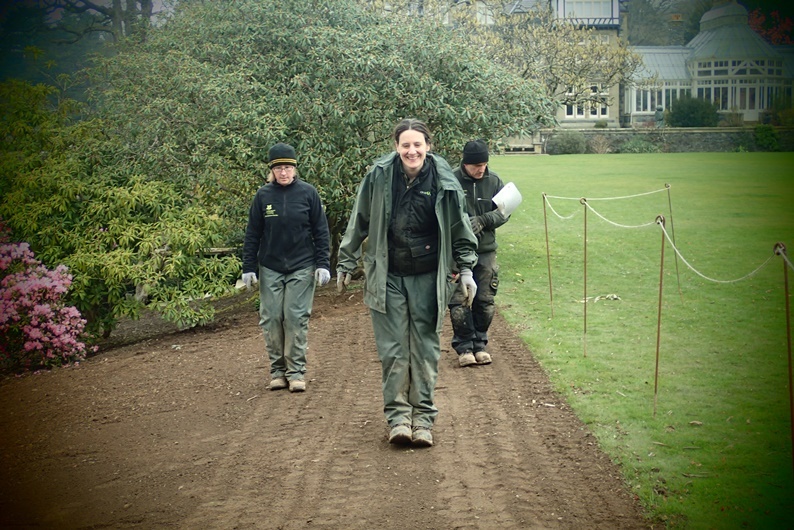 Bodnant gardener Gemma Hayes has worked closely alongside our students during their training. assisted by fellow gardener Kate Croft. 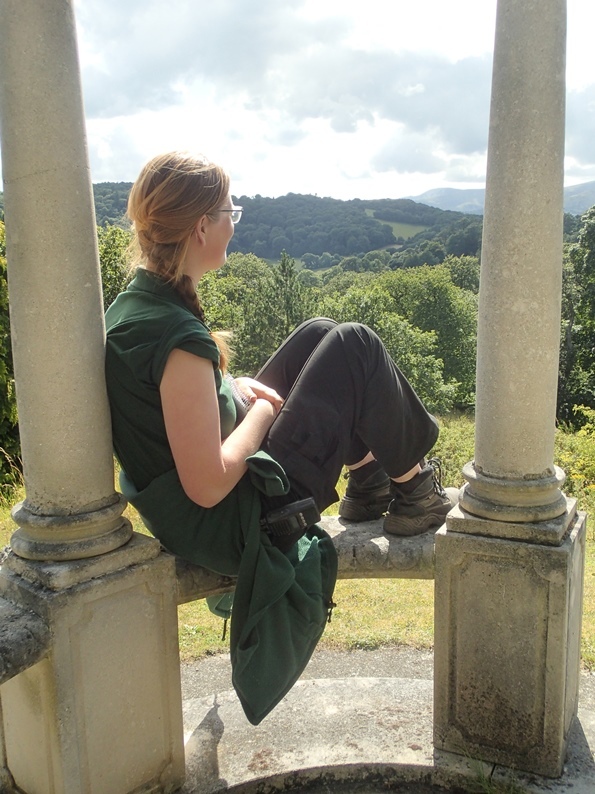 The trainees have all proved to be an invaluable part of the garden team and of our own graduates, one has already gone to to be head gardener, another to work for a national gardening magazine, and two more have gained staff positions at Bodnant Garden. 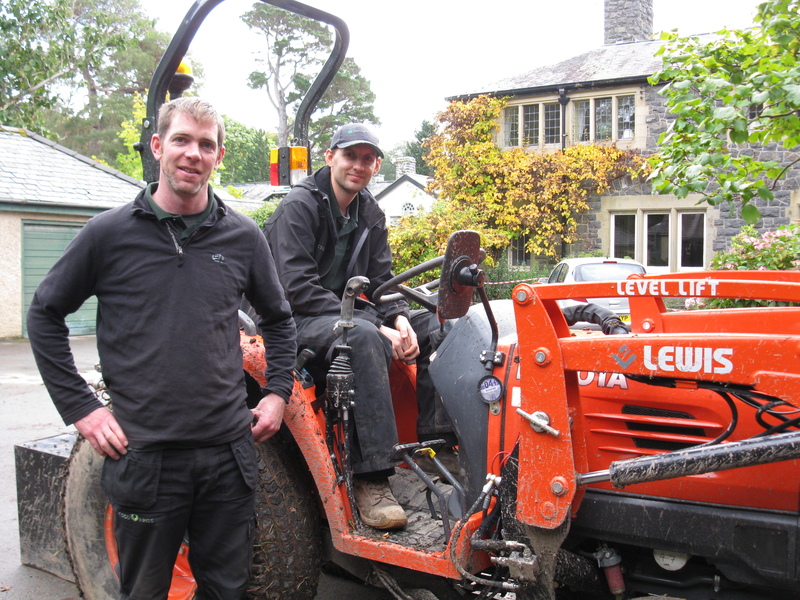 Others from across Wales are now working in the horticultural industry in private gardens as well as at National Trust sites. 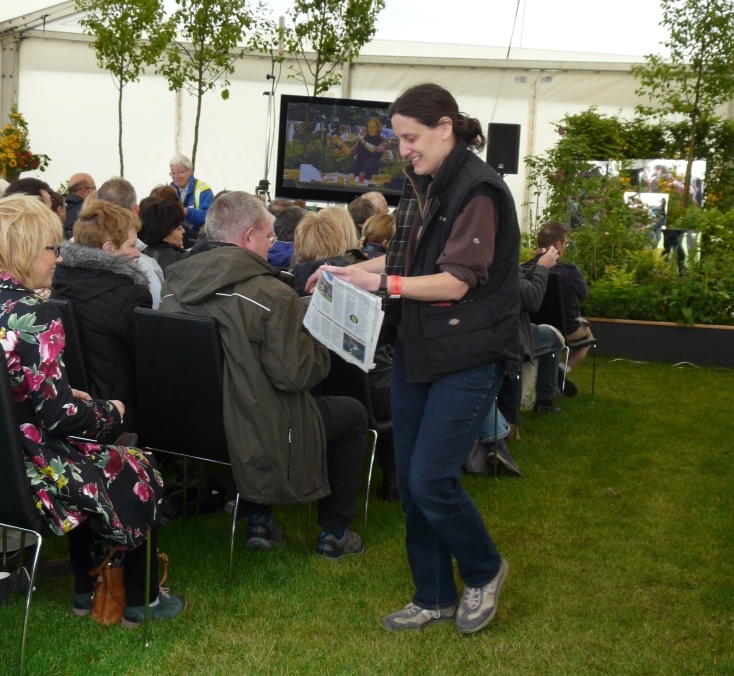 The Bodnant Garden stand…and Katie taking a quiet moment before Gardener’s Question Time? Gardeners start work at 7.45am here at Bodnant when it’s out of bed and straight into mowing or hoeing – but our student horticulturalist Harvey Baker enjoyed a rather civilised start to the day this week, taking part in a special Breakfast of Roses, a morning guided walk and talk with expert Michael Marriot. 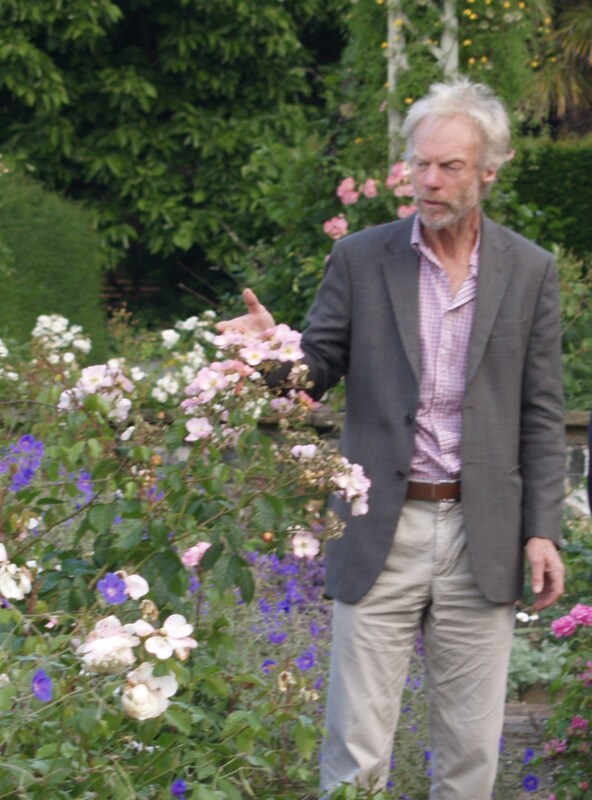 Michael, the adviser to award-winning growers David Austin Roses, has been involved in the redesign of our two rose terraces in recent years. The Top Rose Terrace was renovated in 2006 and the Lower Rose Terrace in 2012. Gardeners had to dig out and replace around 500 tonnes of soil from both terraces; paths were re-laid and pergolas repainted. The beds were then planted with fragrant English Roses, many from the David Austin collection, which provide a continuous display from June to October…so there’s still plenty of time to come along and enjoy them. – R.banksia is growing against the same wall, has good thorns for climbing, very vigorous and difficult to control, a bit of a ‘brute’. Thornless. – R.’Dusky Maiden’ has crimson flowers and is near the exit gate. This vintage rose was bred by Edward LeGrice in 1959. This has been used by David Austin in his breeding program for red English roses. It is one of the middle period Floribundas. – R.primula, which is by the house, is a species rose and is often ignored because it flowers only once. It is a spring flowering rose with arching branches wreathed in soft yellow, single blooms. The foliage is fern-like and smells of incense. Has good autumn colour. – The Upper Rose Terrace is a hundred years old this year; the roses which you see today are not the originals. They would have been Hybrid Tea Roses, which were fasionable at the time. Unfortunately, they would have been very weak and prone to diseases. 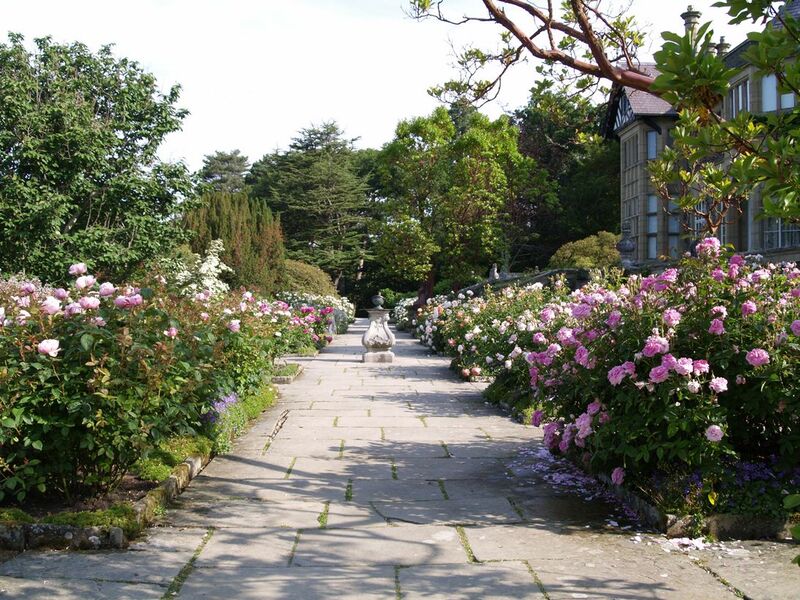 The Upper Rose Terrace was re-planted in 2005 with floribunda roses. – R.’Pretty Lady’ was pointed out as being particularly healthy. It was breed by an amateur breeder, Len Scrivens, from the Black Country, in 1996. It has a peach bloom and although the flowers are produced in clusters, they have the form of a Hybrid Tea. – R.’Susan Williams Ellis’ is a white rose, with a strong fragrance and Old Rose in character. It is disease free. Susan Williams Ellis was a designer who, together with her husband Euan Cooper-Willis, founded Portmeirion Pottery. – It is good practice to mix roses with others plants, particularly plants which will bring in beneficial insects to eat insects like aphids, which are a great problem for roses. – ‘ SB Plant Invigorator’ was recommended as a pesticide/mildewcide/foliar nutrient to spray on roses to kill aphids. It is biodegradable, non-toxic, and environmentally friendly. – The ‘secret’ to success with roses is good pre-planting ground preparation, and carefull selection of a good rose variety for the spot. – The four main roses diseases are: Black Spot, Powdery Mildew (caused by dryness of roots…roses love water around their roots), Downy Mildew (which looks like Black Spot and causes rapid defoliation), and Rose Rust. – Box hedges have traditionally been planted around rose beds. This can cause problems because they have ‘greedy’ roots, which compete with the roses for nutrients. – R.’Felicia’ is a Hybrid Musk rose, with fragrant, double, light pink flowers. The majority of hybrid musk roses were bred in the first thirty years of the last century by a country clergyman, the Rev. Joseph Pemberton. 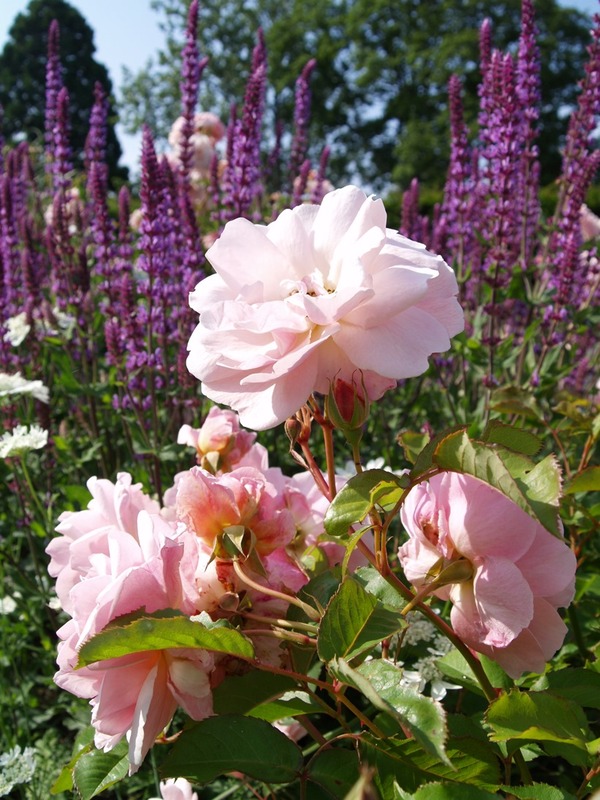 All hybrid musks share three species in their ancestry, Rosa chinensis, R.moschata and R.multiflora, crossed with various more modern roses, such as Trier and ‘Ophelia’. – R.’Nuits de Young’ is a Moss rose with red-brown moss on stems and buds, and fragrant, flat, double, deep maroon flowers. Moss roses first appeared as mutations of Centifolia roses in 1720, in which the sepal, calyx and stems have a mossy growth. This is particularly attractive in the bud stage and has a noticeable balsam-like fragrance when touched. – Attention must be taken when replanting a rose bed, otherwise re-plant disease can affect the new roses. 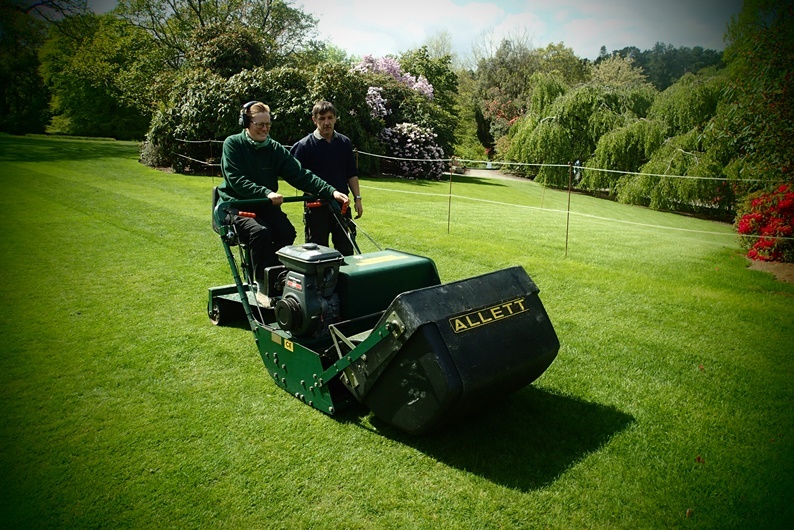 One method is to completely renew the soil in the bed, to a depth of 18″ to 2′. If this is not possible, dig out as much soil as possible around the planting hole, add new soil and plenty of well-rotted organic matter. Using a mycorrhizal fungi product helps stimulate the roots of new roses and helps the plants cope with environmental stress. – R.’England’s Rose’ is a tough, medium sized rose with double flowers of deep glowing pink. It flowers from June to October, sometimes November. The flower fragrance is strong, warm, spicy like a classic Old Rose. – R.’Harlow Carr’ bears shallow cupped flowers of pink. It’s very thorny and can be used as deterrent hedge, against such animals as deer! – R.’Albertine’ is a large and vigorous rambling shrub up to 5m in the Pink Garden. It has strong thorny, reddish stems and dark glossy foliage. Has very fragrant double, salmon-pink flowers in clusters. The petals don’t fall off after flowering, so can be a problem if you want to dead-head it and it’s growing high up a wall. 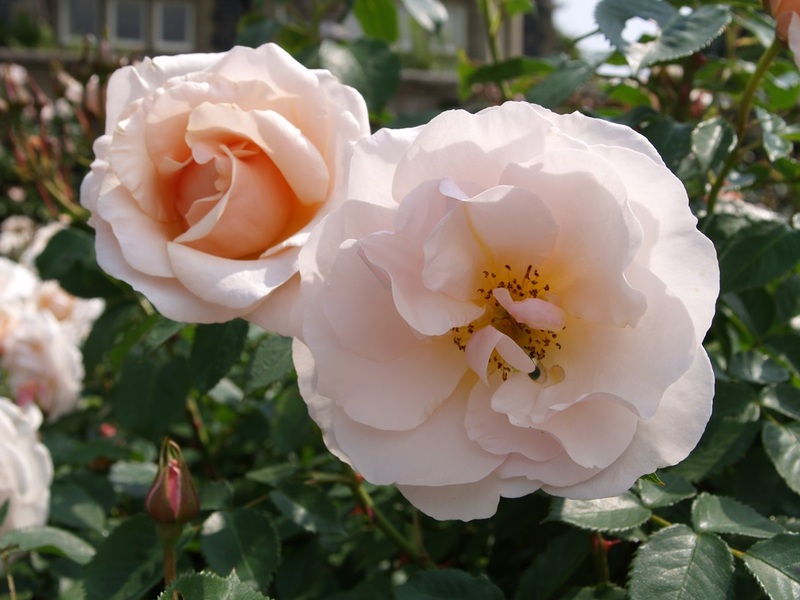 – ‘Maxicrop’ was recommended as good seaweed fertilizer for roses. Thanks Harvey! 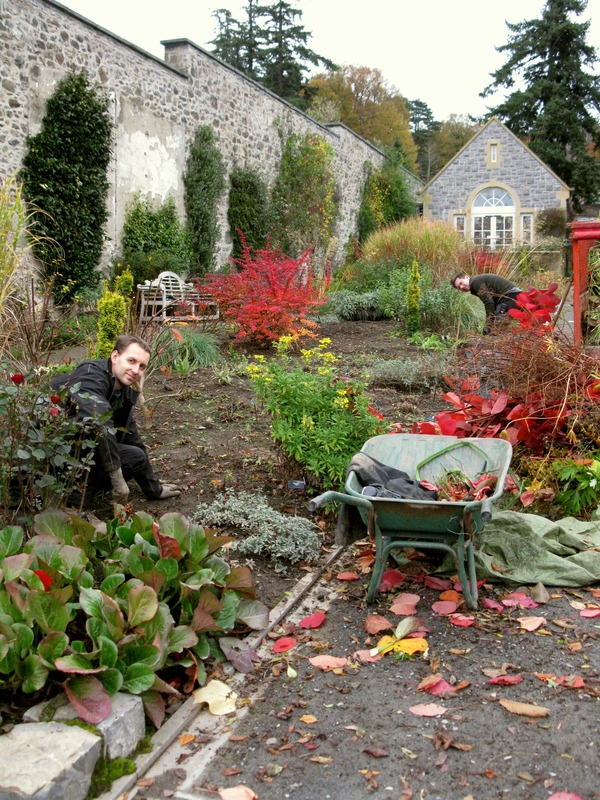 Harvey and two other students are currently at Bodnant Garden on a 14-month placement as part of the Heritage Horticulture Skills Scheme. You can find out more about the scheme on the website http://www.hhss.co.uk/ For more details about Bodnant Garden call 01492 650460, check out our website www.nationaltrust.org.uk/bodnant-garden or Facebook page https://www.facebook.com/BodnantGardenNT but most importantly…come and see the roses! Calling green-fingered hopefuls – here’s a once-in-a-lifetime opportunity to learn the garden trade alongside the cream of the crop…and this could be your classroom! 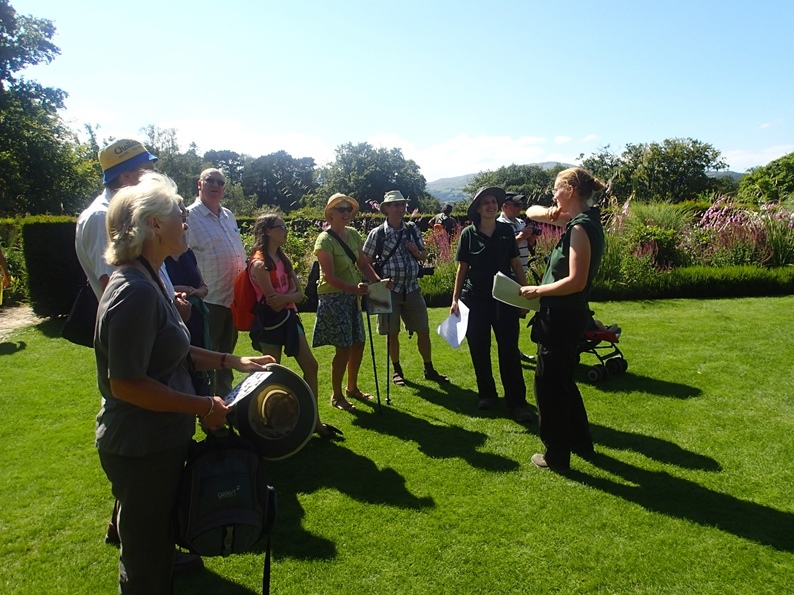 New students are being invited for the Heritage Horticulture Skills Scheme, which offers placements at the best gardens and parks in Wales, including ours. Students who secure a place at Bodnant Garden will get the chance to work on the Laburnum Arch – which draws around 40,000 visitors during its three-week flowering in May. They will also get chance to hone their gardening skills on the grand rose terraces, among giant old Champion Trees and a historic plant collection gathered from all around the globe. 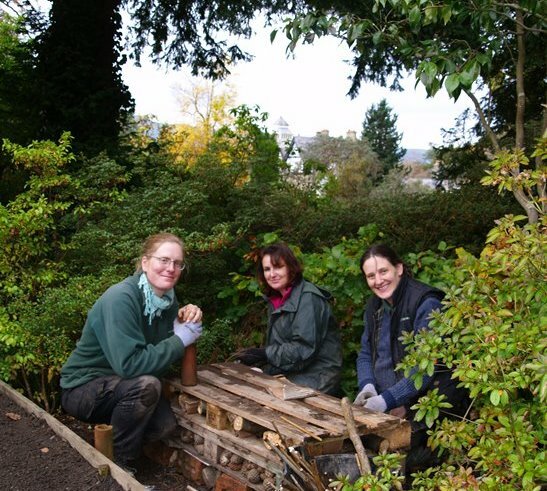 The HHSS is funded by Heritage Lottery Fund and offers traineeships at Bodnant Garden and Dyffryn Gardens (National Trust), at Aberglasney, Picton Castle, and with Newport City Council, Cardiff City Council and St Fagans Natural History Museum. Starting in September, up to 16 chosen trainees will get a £10,000 bursary from Lantra for 14-month placements at these organisations, where they will receive practical training in specialised, heritage horticultural techniques. 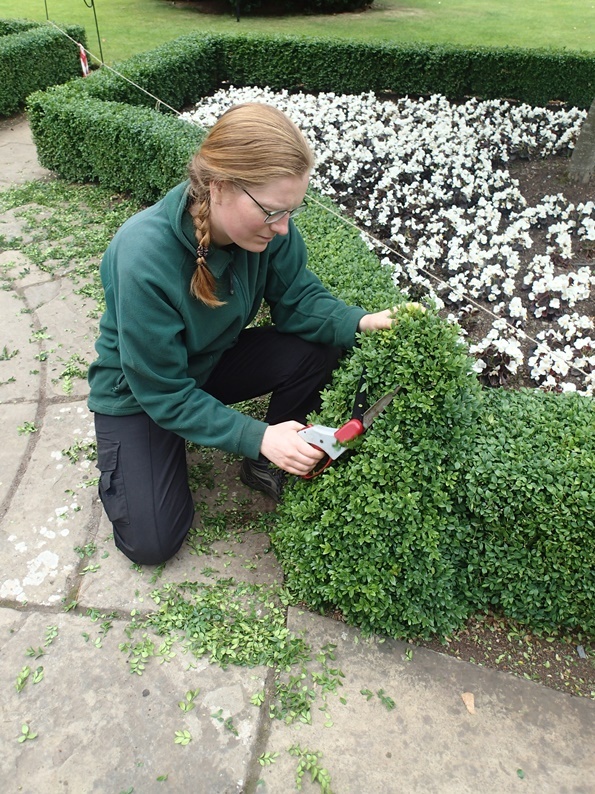 One of our recent HHSS students has now gone on to work at a national gardening magazine; others have gone on to permanent jobs at other National Trust gardens. More information is available at Bodnant Garden on 01492 650460 or from the HHSS website at www.hhss.co.uk. 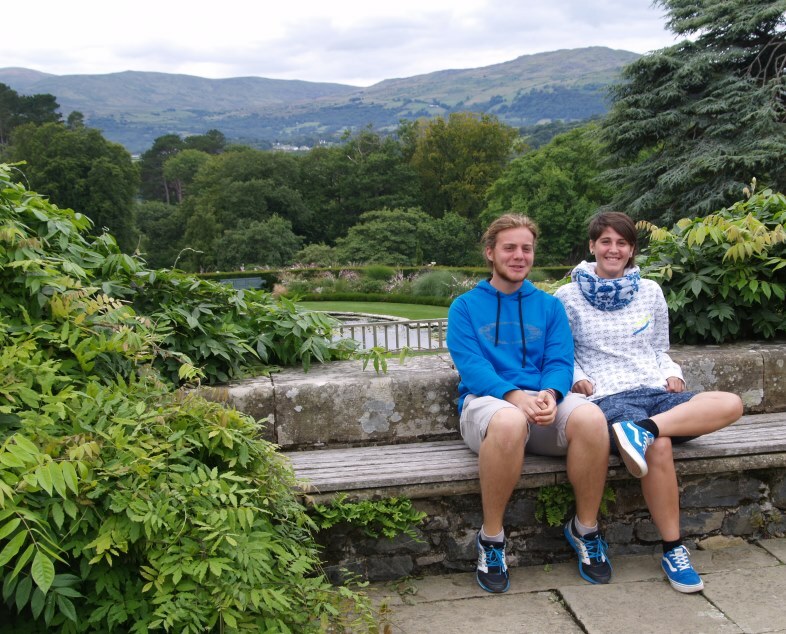 Student gardener Richard Marriott reflects on life at Bodnant, where he is studying with the Heritage Horticulture Skills Scheme. “Either work hard or you might as well quit.” So said MC Hammer in his 1990 smash hit “U Can’t Touch This.” Somewhat rather curiously this phrase became my mantra for the two years spent at college whilst studying towards my horticultural degree. Finally it would appear that hard work and determination to succeed is beginning to pay dividends as I write this three months into my traineeship here at Bodnant Garden. I would have dialed 999 and expected you to be taken away in a strait-jacket had anyone even dared suggest I may be employed within such a fantastic garden within the first three years of beginning my horticultural career. But it truly does seem to be so – if you put your mind to it, you can accomplish anything. To date I have helped in the completion of the new Winter Garden, worked upon the world renowned Laburnum Arch and I have passed my tractor driving course, a skill which is used on a daily basis. 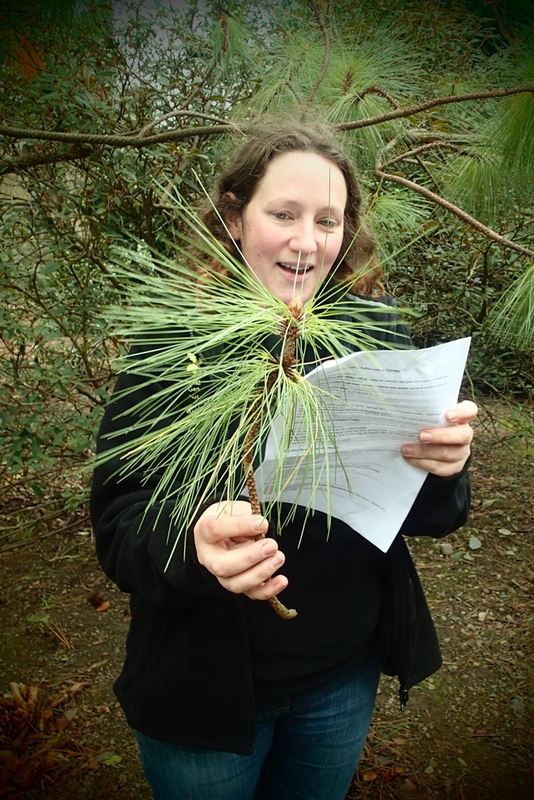 These past weeks I have also laid foundations for a new Champion Trees of Bodnant leaflet which the public will be able to use as they wander around the gardens. Each area of Bodnant has its own distinct personality, from the expansive views commanded by the Terraces, the diverse range of species on display within the Shrub Borders to the other worldly feeling created by the mammoth sized trees of the Dell. Individually these areas would impress as stand-alone gardens, but collectively the mind is blown away. 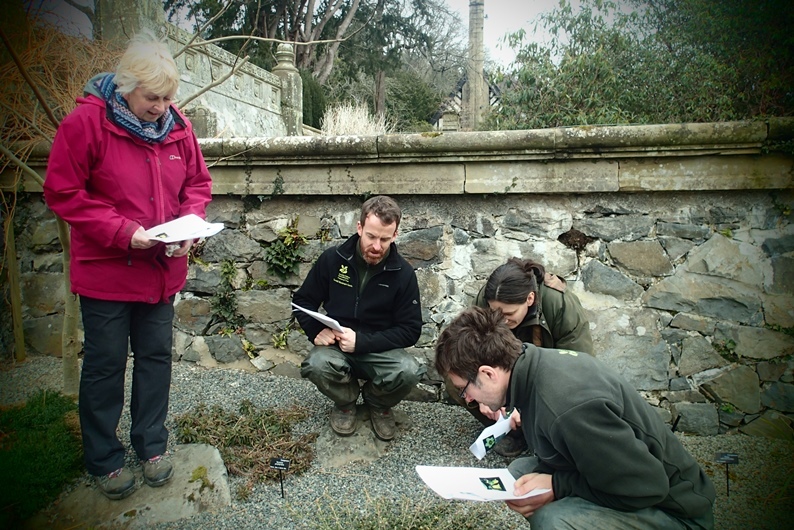 So, what is it like to work as a trainee at Bodnant Garden? In a word, fantastic! Never a dull moment, something new to learn each and every day, along with being within a diverse team which makes my job a joy to arrive at each morning. Without a doubt the highlight of my week is 8am Monday morning for the plant identification test. Such is my sadistic mind, I welcome with open arms the challenge of learning 20 new Latin plants names each week and being able to recount them word perfect so as to achieve the ever illusive 100%. Possibly the only downside to working at Bodnant is there being no specific jobs which allow us to shelter away from the Welsh rain, which has been abundant this last year. But us gardeners are made of stern stuff and we’re not going to let a little bit of the wet stuff slow us down. So come rain or shine you will find me with a smile on my face as I work in the best office in the world!